The New Year has just recently passed, a time when everyone makes resolutions to get back in shape, exercise more and, above all, eat healthier foods. However, will power fades soon after resolutions are made and people soon fall back into their old, unhealthy eating habits. Cameron’s Kitchen has a number of fresh, low-calorie dishes to choose from that are sure to please even the fussiest eaters in your family. Now you can get the entire family back on track in eating healthier and watching their calories. You can’t be with them every moment of their day, but you can ensure they’re eating right when they’re at home. Plus, there is also an added benefit to ordering from Cameron’s Kitchen – you won’t have to lift a finger in your own kitchen. With this ingenious solution to feeding your family, you can spend more quality time with them as well as juggle your busy professional life. Our meal delivery service allows you to plan ahead for weeks when you know that your career and the needs of your family will consume all of your available time. And with the temperature is soaring in Queensland at the moment, it’s another reason to avoid spending any time in the kitchen. The hot weather dampens appetites as well as any enthusiasm for cooking. Why fight an uphill battle in the misery of a hot kitchen when you can have your meals promptly delivered right to your door. We offer several meals that are under 500 calories. 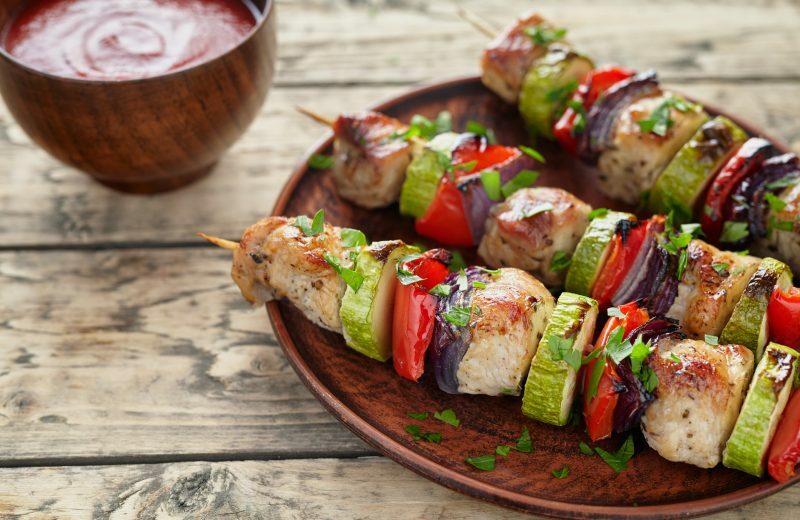 Choose from a healthy and fresh Chicken Kebabs with Cous Cous, succulent Salmon with Cauliflower and Basil Yoghurt, Pork Fillets with Mushroom Gravy or our brand new Thai Beef Chilli with Basil. Even our Roast Lamb and Bavarian Cabbage Rolls are just over the 500-calorie mark. If you want to raise the bar to the 600-calorie mark, you can enjoy Spaghetti Bolognaise, Beef Stroganoff, Ricotta & Spinach Ravioli and Grilled Salmon with Citrus Dressing. By simply ordering 5 meals or more from Cameron’s Kitchen you can also take advantage of our prompt, free delivery service. In knowing your healthy meal is well-prepared by professional chefs and you’re saving money, you can relax, avoid the kitchen and try to beat the heat while knowing your family is well-fed. By relying on the extensive, fresh menu of Cameron’s Kitchen, you’ll feel confident that you’re providing a colourful, healthy and well-rounded meal experience to your family. And you’ll have time to enjoy the smiles on their faces as well.